Have you ever wished there was an easy way to extract data from the Stone Edge Order Manager for use with other programs? 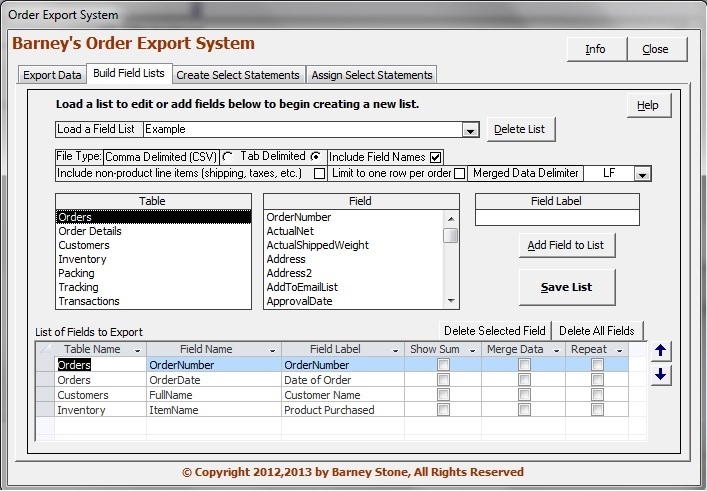 Whether you want to analyze your sales in a spreadsheet program or send orders to an accounting system, Barney’s Order Export Wizard makes it easy! To view the Order Export Wizard instructions, Click Here.